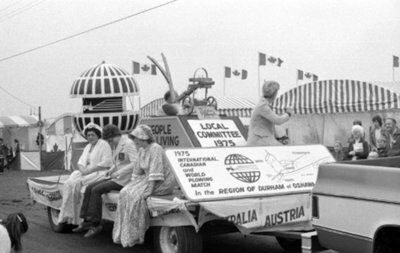 A black and white photograph showing a float from the Local Committee 1975 in tent city during the parade at the World Plowing Match on September 26, 1975. World Plowing Match, 1975, Brian Winter. Whitby Archives A2013_004_408A.